1. 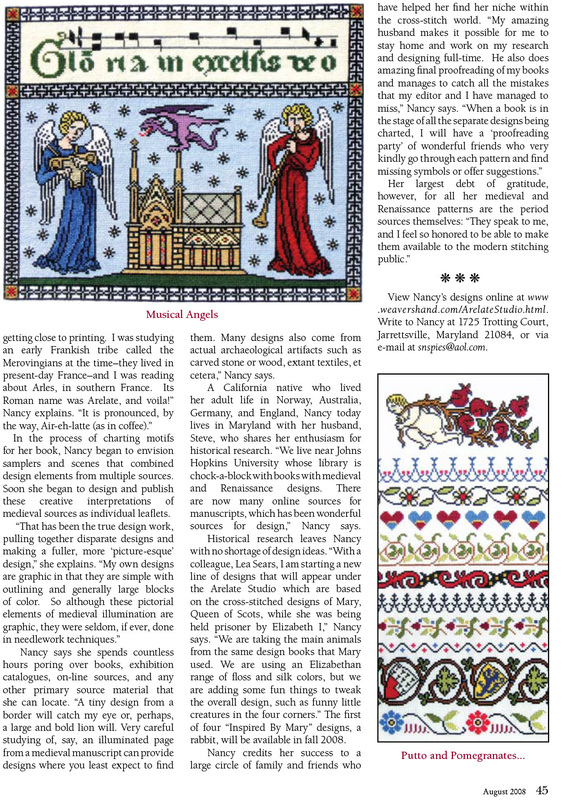 The article is from "Just CrossStitch" magazine, August 2008. 3. 'Putto and Pomegranates' is no longer available. However. the hard-working putto is available as a SMALL where he can be found as an UNSTOPPABLE FEY PUTTO.